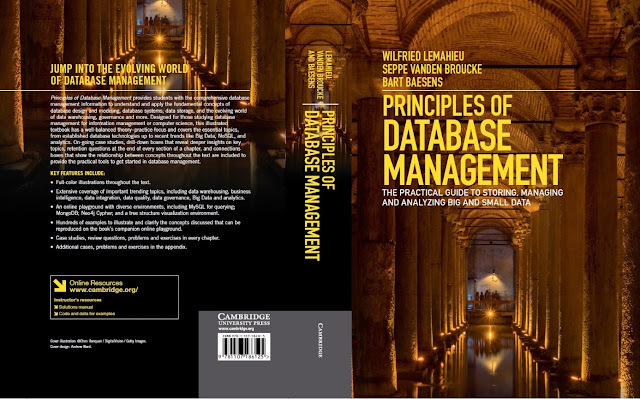 Deep-Data-Mining is pleased to introduce the new book, Principles of Database Management – The Practical Guide to Storing, Managing and Analyzing Big and Small Data, by Lemahieu W., vanden Broucke S., and Baesens B. (ISBN: 9781107186125). The following is the book interview. Should all companies start to invest in NoSQL databases? The explosion of popularity of NoSQL databases should be put in perspective considering their limitations. Most NoSQL implementations have yet to prove their true worth in the field (most are very young and in development). Most implementations sacrifice ACID (atomicity, consistency, isolation and durability) concerns in favor of being eventually consistent, and the lack of relational support makes expressing some queries or aggregations particularly difficult, with map-reduce interfaces being offered as a possible, but harder to learn and use, alternative. Combined with the fact that RDBMSs do provide strong support for transactionality, durability and manageability, quite a few early adopters of NoSQL were confronted with some sour lessons. It would be an over-simplification to reduce the choice between RDBMSs and NoSQL databases to a choice between consistency and integrity on the one hand, and scalability and flexibility on the other. The market of NoSQL systems is far too diverse for that. Still, this tradeoff will often come into play when deciding on taking the NoSQL route. We see many NoSQL vendors focusing again on robustness and durability. We also observe traditional RDBMS vendors implementing features that let you build schema-free, scalable data stores inside a traditional RDBMS, capable to store nested, semi-structured documents, as this seems to remain the true selling point of most NoSQL databases, especially those in the document store category. Expect the future trend to continue towards adoption of such “blended systems”, except for use cases that require specialized, niche database management systems. In these settings, the NoSQL movement has rightly taught users that the one size fits all mentality of relational systems is no longer applicable and should be replaced by finding the right tool for the job. For instance, graph databases arise as being “hyper-relational” databases, which makes relations first class citizens next to records themselves rather than doing away with them altogether. How do Object Oriented DBMSs (OODBMSs) compare against Relational Databases (RDBMSs)? Why haven’t they been that successful? OODBMSs offer several advantages. First, they store complex objects and relationships in a transparent way. The identity based approach allows for improved performance when performing complex queries involving multiple interrelated objects, avoiding expensive joins. By using the same data model as the programming language to develop database applications, the impedance mismatch problem is no longer an issue. In addition, developers can be more productive, as they are confronted with only a single language and data model. Still, the success of OODBMSs has been limited to niche applications characterized by complex, nested data structures where an identity-based, instead of a value-based, method of working pays off. An example is the processing of scientific data sets by CERN in Switzerland, where data access follows predictable patterns. The widespread use and performance of RDBMSs, however, proved hard to displace: the (ad-hoc) query formulation and optimization procedures of OODBMSs are often inferior to relational databases, which all adopt SQL as their primary database language combined with a powerful query optimizer. When compared to RDBMSs, OODBMSs are not that developed in terms of robustness, security, scalability and fault-tolerance. They also don’t provide a transparent implementation of the three-layer database architecture. More specifically, most OODBMSs provide no support for defining external database models, such as views in the relational model. Why are so many companies still struggling with database legacy instead of investing in newer technologies? Many firms still struggle with legacy databases due to historical implementations and limited IT budgets. Hence, knowing the basic characteristics thereof is essential to the maintenance of the corresponding database applications and the potential migration to modern DBMSs. Second, understanding the basics of these legacy models will contribute to better understanding the semantical richness of newer database technologies. Finally, the concept of procedural DML and navigational access originally introduced by these legacy models has also been adopted by more recent databases such as OODBMSs. 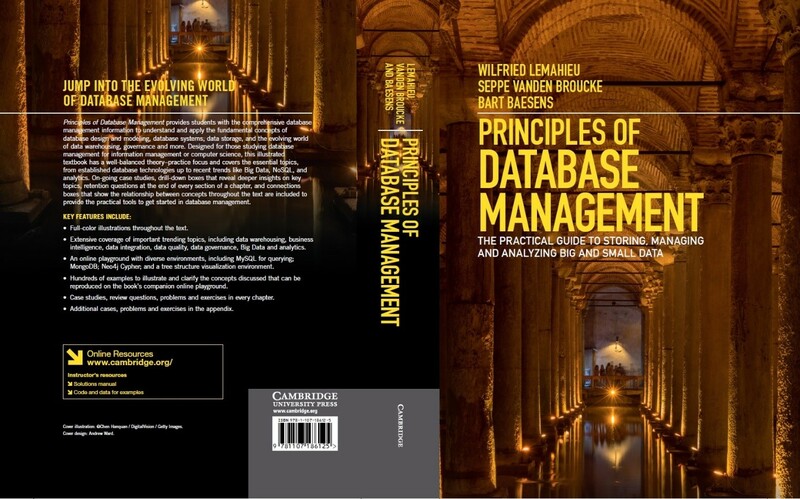 This book covers a few decades of evolutions in the database world. Which developments or patterns struck you as the most remarkable in the long run ? The perseverance of SQL is really striking. It survived object-oriented databases and XML databases, and after a while, many of its constructs were even incorporated in these paradigms. More recently, there is considerable irony (and beauty) in the fact that one of the main tendencies of NoSQL development efforts is to mimic the convenient data retrieval and query facilities of, well, SQL-based databases. Solutions for ‘SQL on top of NoSQL’ are all over the place. And let’s not forget: SQL still remains a beautiful language.